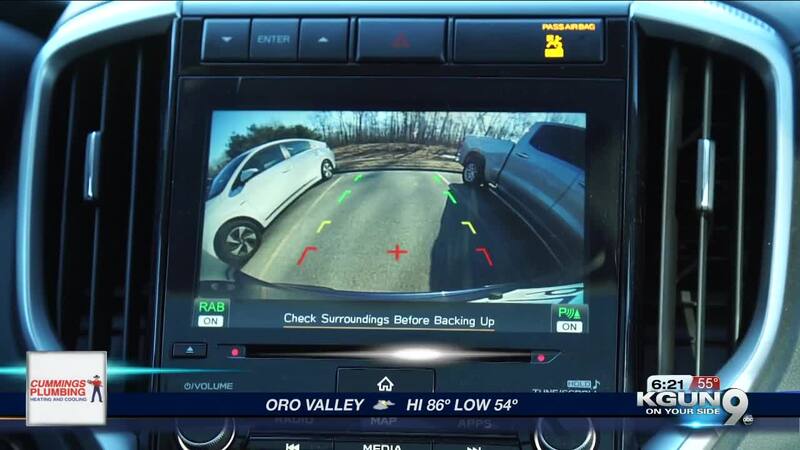 In 2014, the Department of Transportation issued a rule that required backup cameras in all vehicles that weigh less than 10,000 pounds by May 2018. But what if you have an older car? TUCSON, Ariz. - A rear-view camera is a handy safety tool. Evidence shows that those cameras help avoid accidents that involve backing into an object, or worse, a child invisible from the driver’s seat. Research has shown cameras to be even more effective than sensors. But what if your car doesn’t have a backup camera? The wireless, smartphone option costs anywhere between $22-100. Be sure to choose one that is compatible with your phone’s operating system. Some dash-cam sets have a screen that straps over your existing rear-view mirror. In addition to being a mirror, it displays video from the rear camera. They cost $40-200. And If your car has an infotainment screen but lacks a rearview camera, you can purchase an aftermarket retrofit for $50-600. Hard-wiring a rear-view camera takes some DIY skills and can be time-consuming. CR suggests if you have any doubts, consider professional installation.